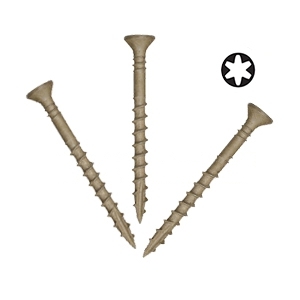 PRODUCT: #8 x 2 1/2" Tile Roofing Screws, PAMDrive®, 2/3rd Coarse Thread, Type-17 Point, Copperhead®, Flat Head, Wood to Wood (ACQ, CBA-A, CA-B Tolerant). 1000/Box. Price/Box.